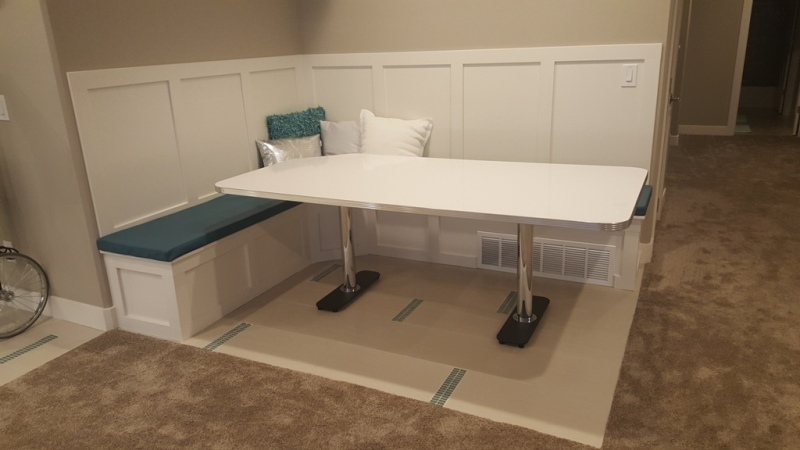 Here are some photos of the installed counter top y'all manufactured for us. The front of the bar should be completed in a couple weeks. We are happy with the quality, timing, and price. Here are some photos I took. 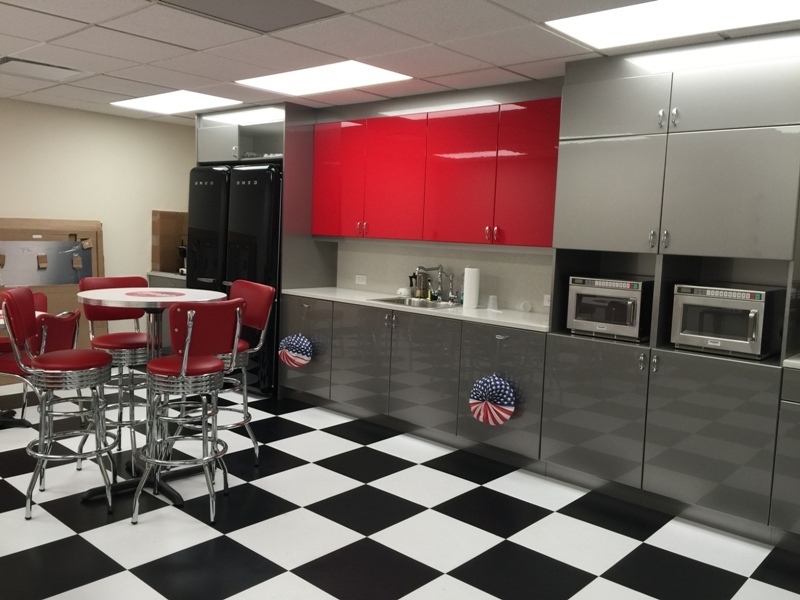 We love how everything comes together and are very pleased with the furniture that we received. 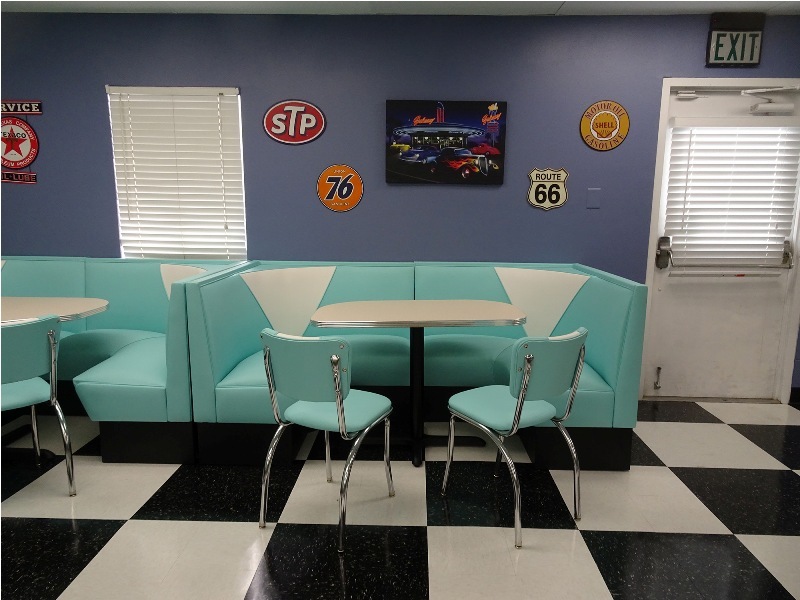 I'm emailing some photos of the diner booths. I think you'll see they really make our youth building look great! The reaction from both our students and parents has been extremely positive. Thanks for all your help with the order. Thanks so much Danielle for all your help. 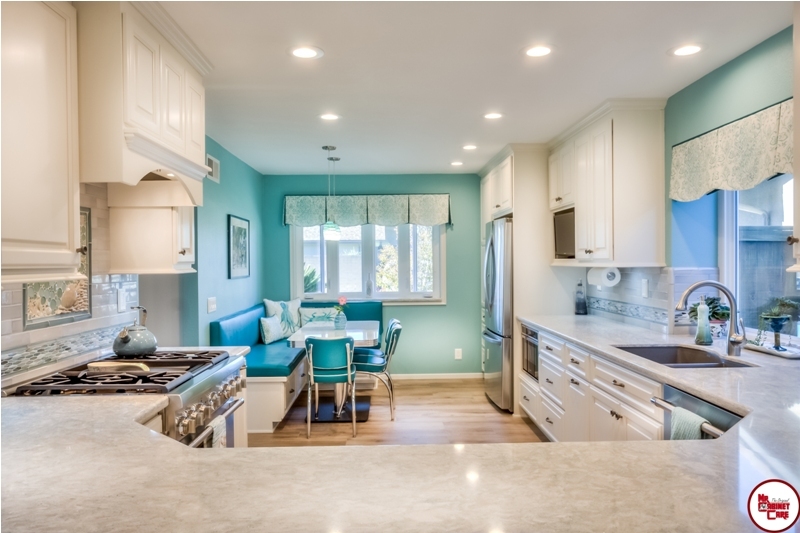 I love the stools they are just the right look that I was trying to achieve for my kitchen and counter space. 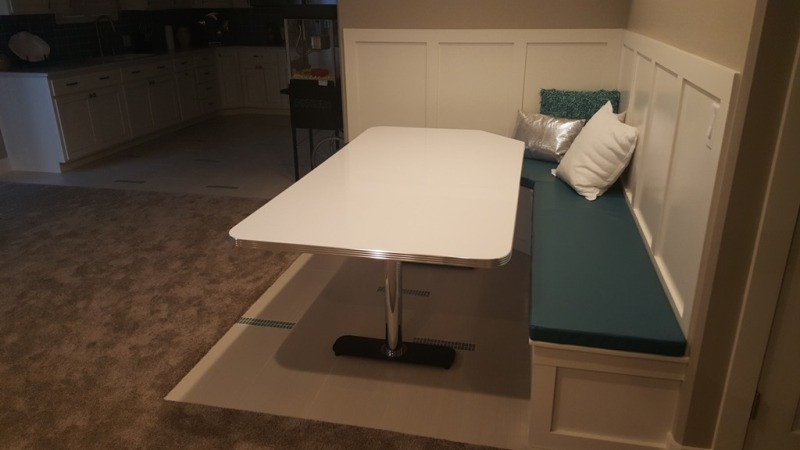 Just wanted to let you know my table has arrived and I just LOVE it! Thank you so much for all your help deciding the size and color. I can't wait to show it off to all my friends! 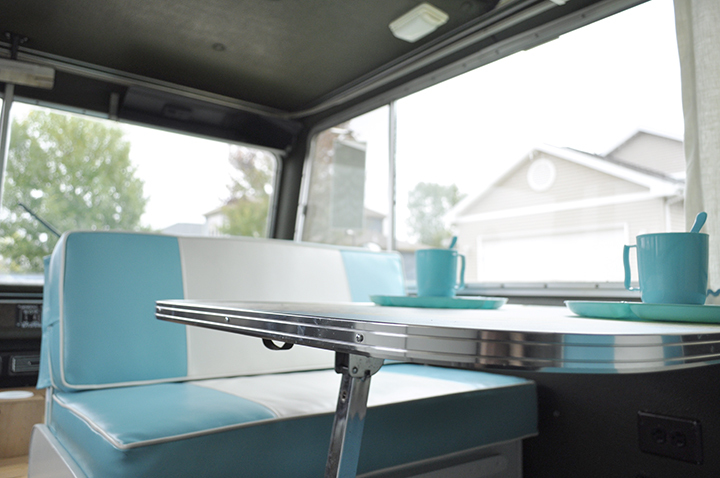 Turning our 1968 18' Aloha travel trailer into a retro-diner. 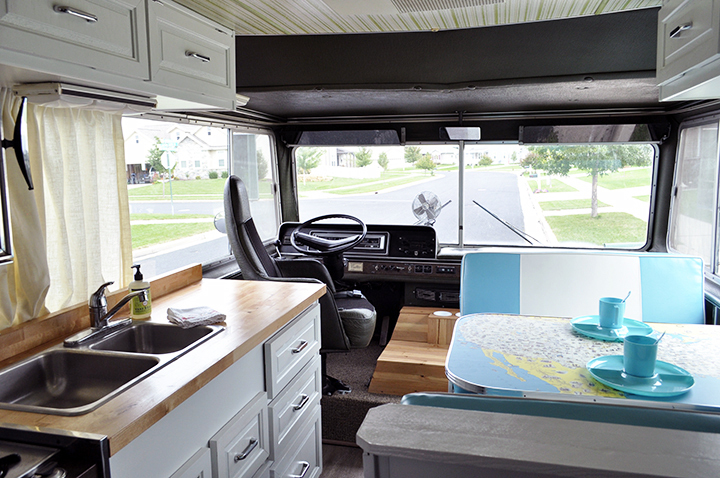 Looking forward to adding some Heffron's retro items to complete the look! 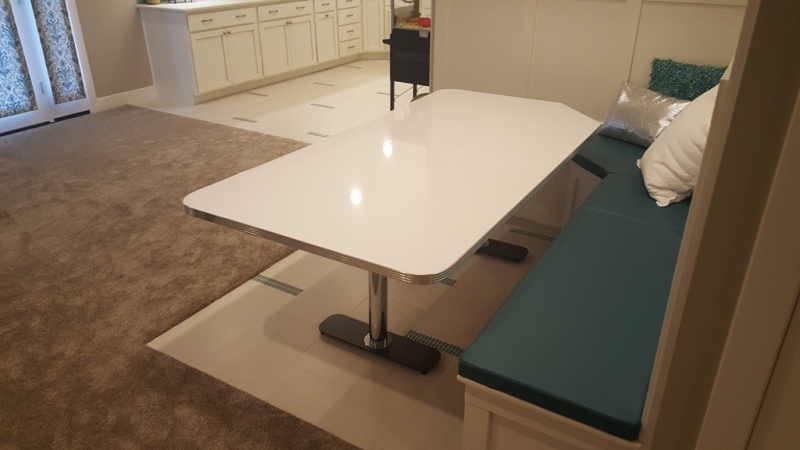 We got the table and it is absolutely gorgeous!! It is flawless!! Thanks again and I will send you pics for your scrapbook when we have our whole little diner together. Have a great day!! 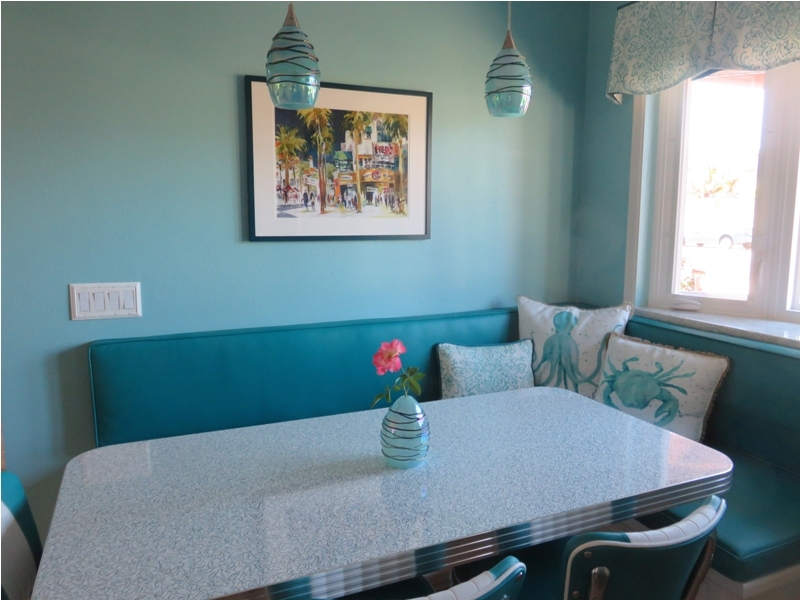 Our kitchen was completely remodeled from the studs out by Mr. Cabinet Care. 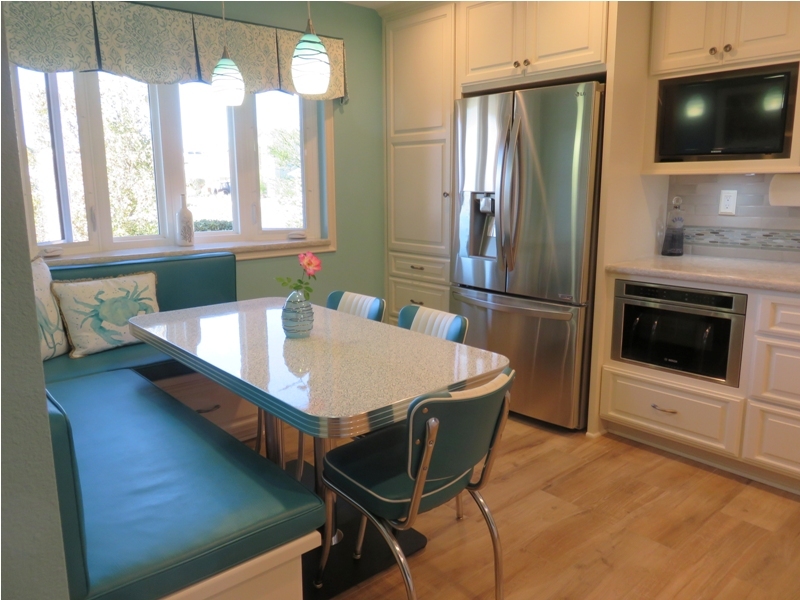 We had originally planned to purchase a wooden table and matching chairs for our kitchen nook but my wife found a great alternative at "Moment in Time Retro Design" that would fit our beach theme kitchen perfectly. 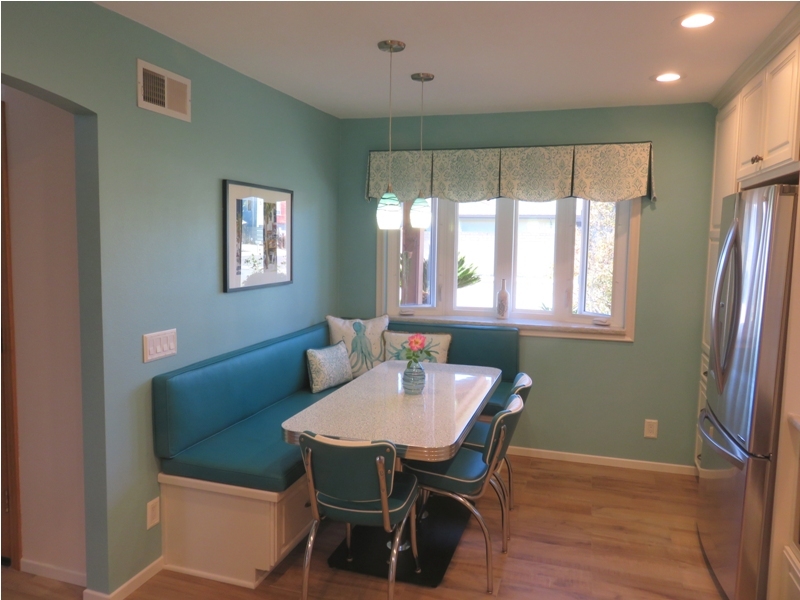 We purchased the 60 inch table with the Turquoise Glacier laminate top and matching Malibu style chairs. 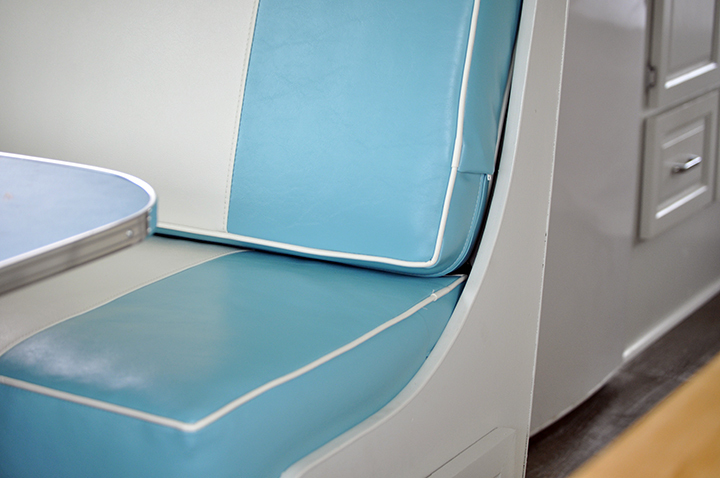 We also purchased extra retro vinyl for our nook cushions. We couldn't have asked for anything better. Everything looked and fit perfect and the cost was very reasonable even with the cost of shipping from East to West coast. 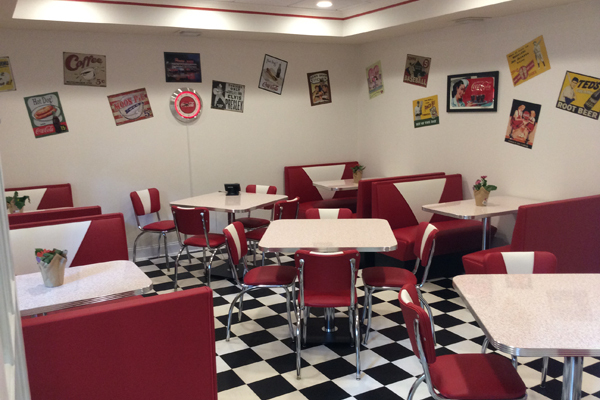 Everyone that has visited our home have fallen in love with the retro look and the quality of the table and chairs. A Moment in Time Retro Design was a fantastic company to work with. Kudos to Tammy who provided Excellent customer service from start to finish. She was Awesome! 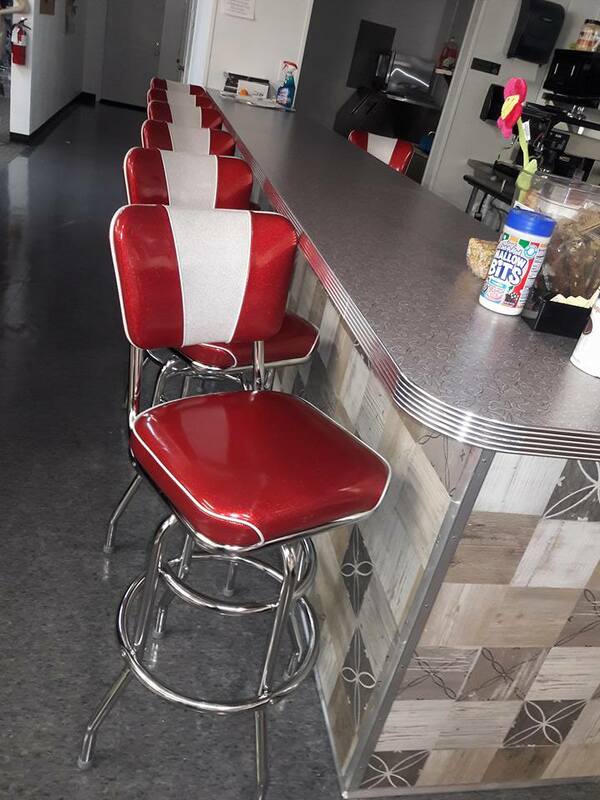 Heffrons is THE place to go for all things retro. They have this amazing retro boomerang laminate that I would love to someday put in a kitchen! Just wanted to let you know that I received my table and it looks AWESOME!! 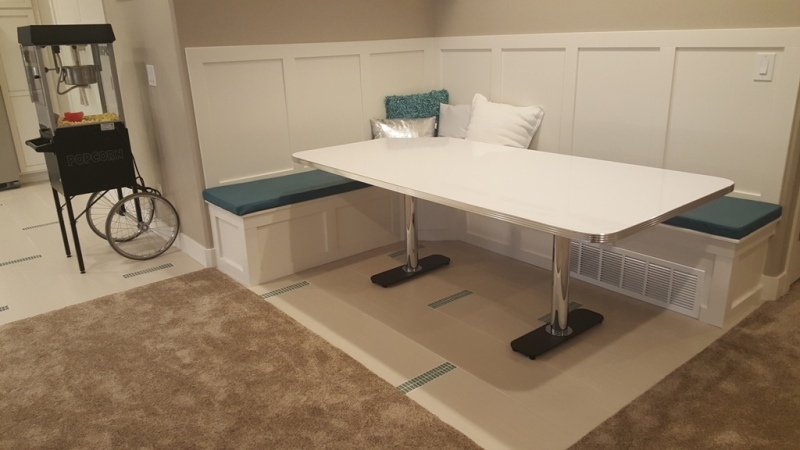 The table goes perfectly with my black and white floor and chairs. But the giagonal cut is what really stands out and looks truely amazing. Thanks again for all of your help with my order. I'll definitely contact you Heffron's should I need anything in the future! 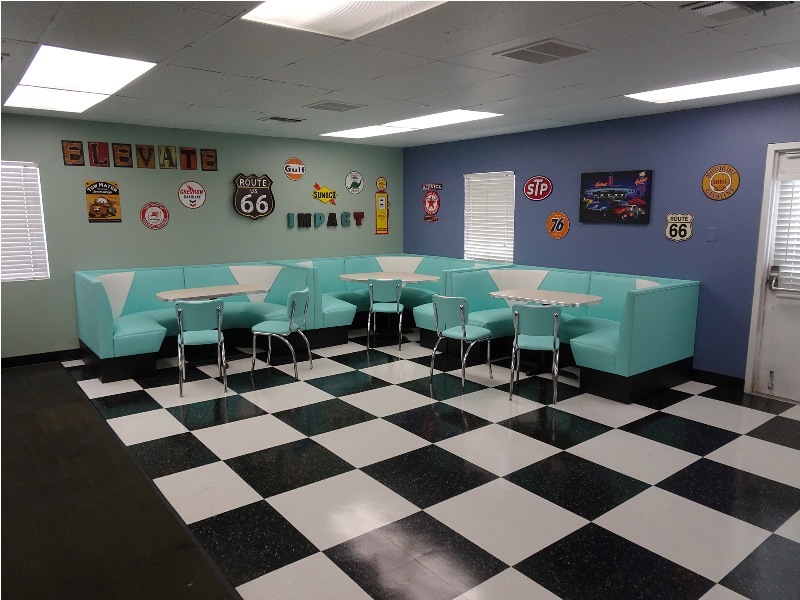 Our residents love the nostalgic 50’s diner here at Crimson Ridge Gardens. 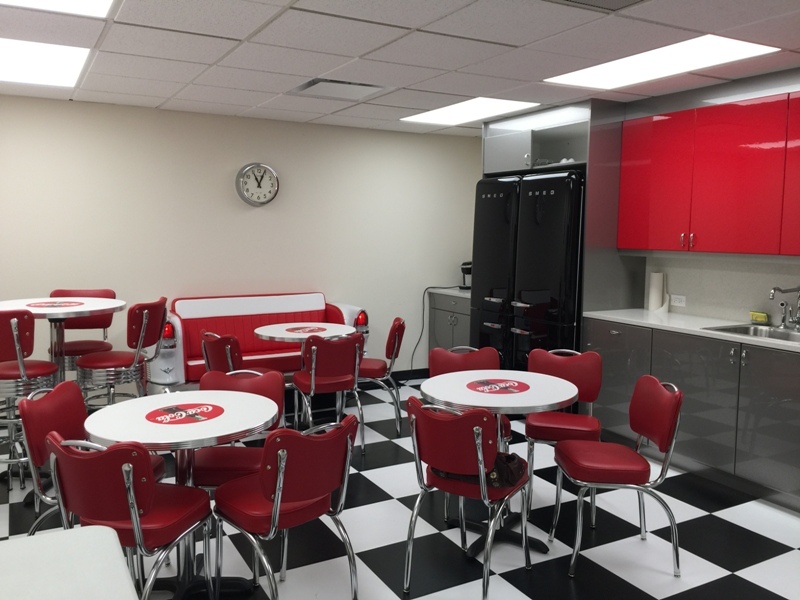 It is used for 50’s themed lunches, root beer floats and playing 50’s music. 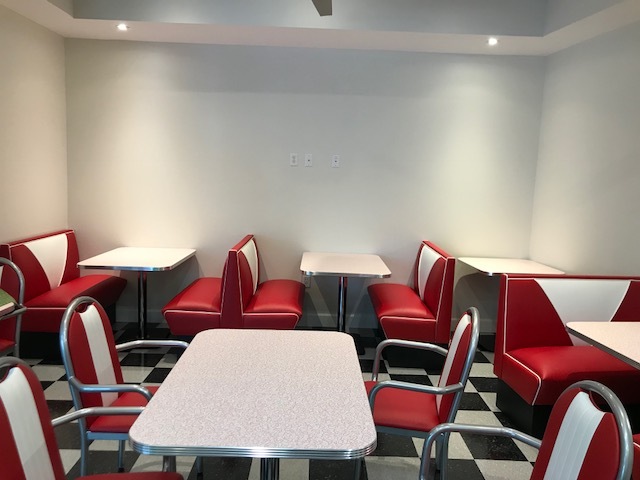 Our residents love to spend quiet time in the diner with family, friends and other loved ones. We have one resident who believes the diner is hers and doesn’t always like to share it! 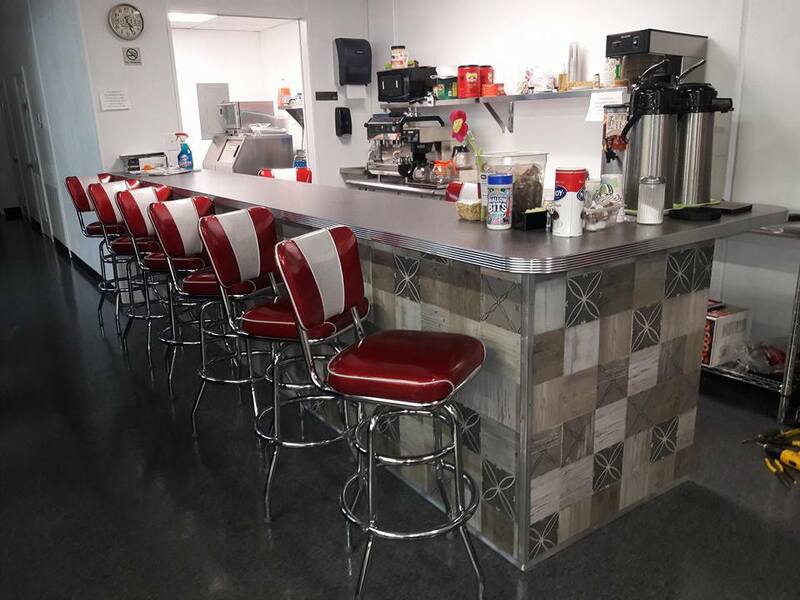 What a wonderful addition the diner has been to our community. Another satisfied customer from Heffron's A Moment in Time Retro Design. 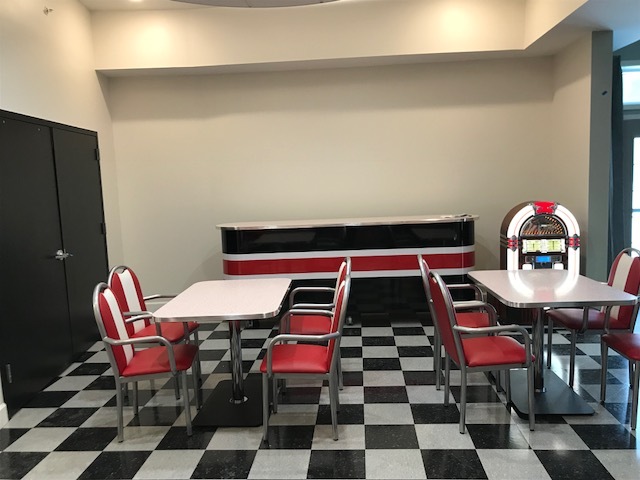 Check out some of the great photos they sent us below showing off their Retro booths and Retro table featuring Yellow Cracked Ice. 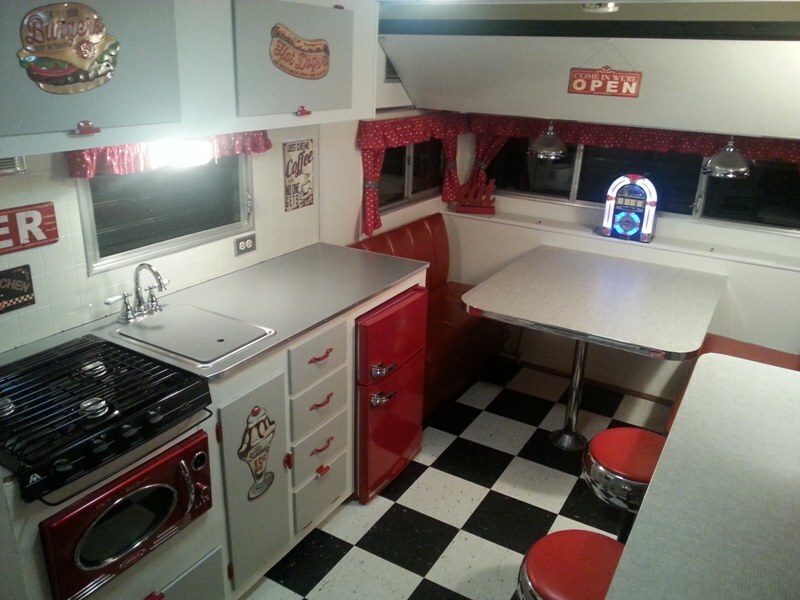 The diner is perfect, just like you laid it out, see photos. 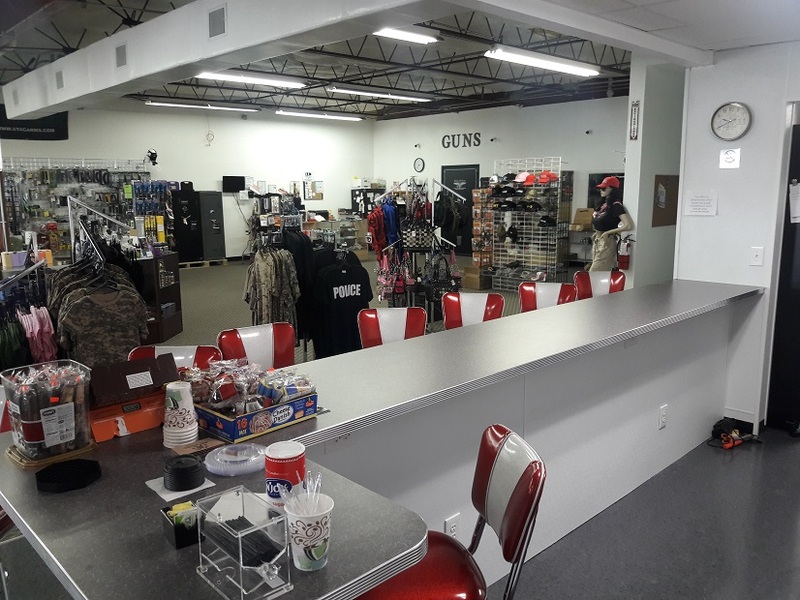 We have some accessorizing to do and we are putting in a large window mural on the bench wall on or about Friday. I’ll send some photos when we complete it. 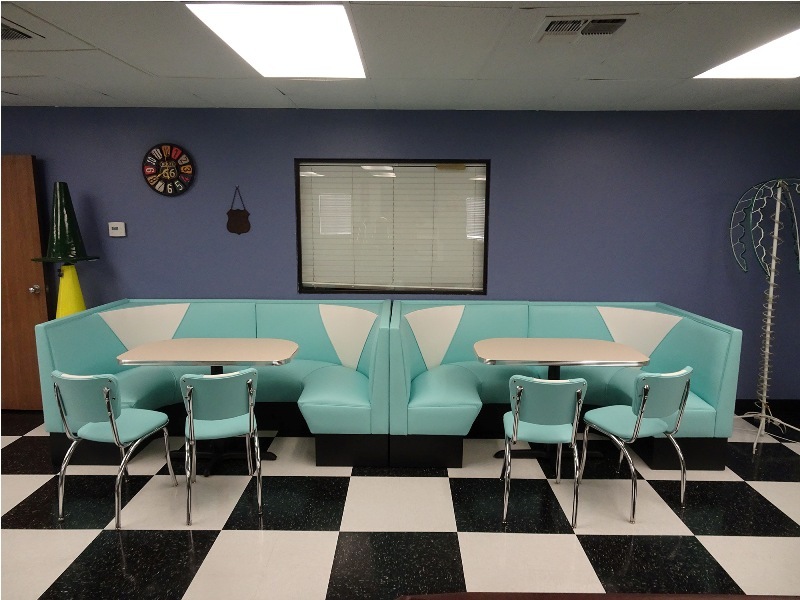 Here are photos from NaNa's Diner in Tennessee and California. 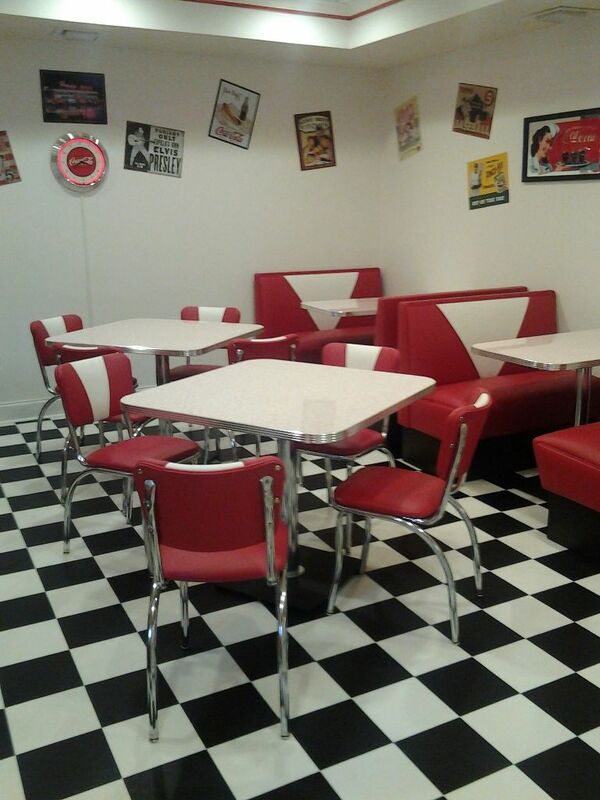 Both locations feature items found at A Moment in Time Retro Design.